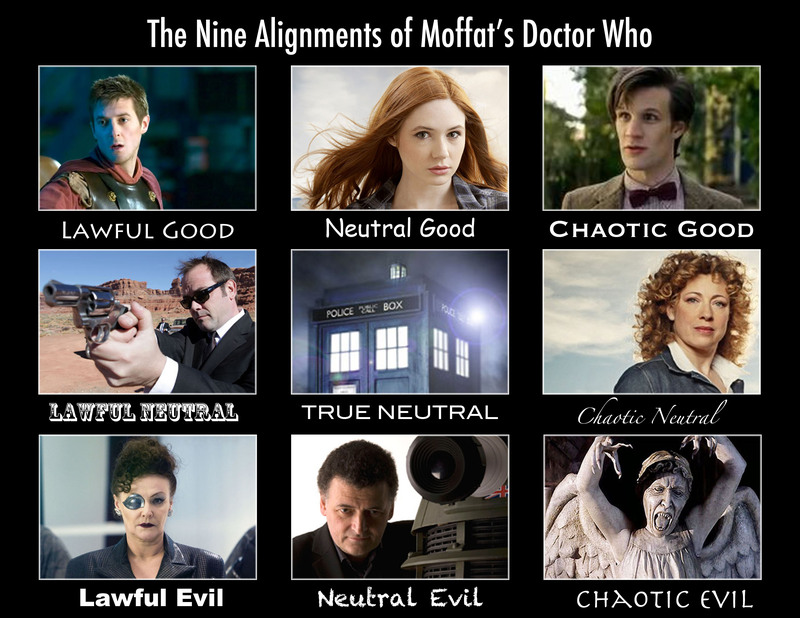 I have to bite: Why is Moffat Neutral evil? He’s given us my favorite season of Doctor Who ever, and it’s been one hell of a ride. He has a lofty, goal for the series it seems, and the trials he’s putting us through seem like they have a greater purpose. I just don’t feel tormented. It was just tongue-in-cheek. I love what Moffat has done with Doctor Who, and I enjoy being led on the goose chase to figure out what’s going on.